The film In Our Hands is based on research into hand gestures that were developed to influence, heal, predict – or ward off – the future. 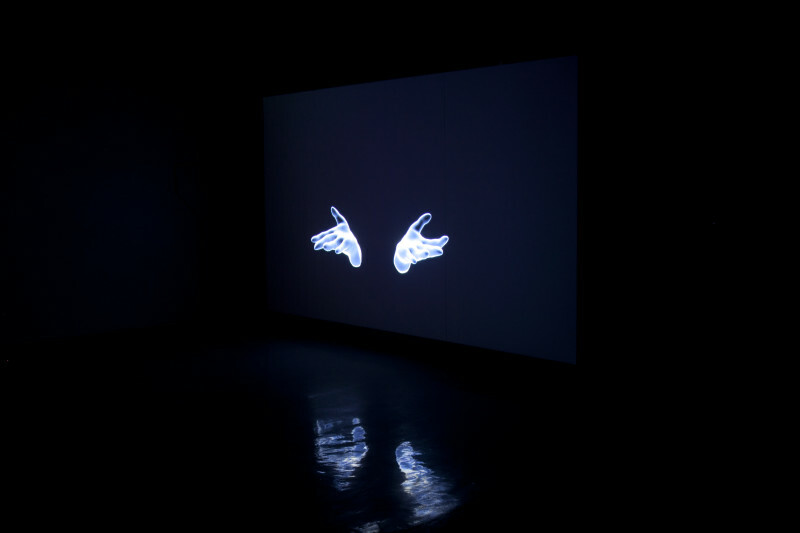 The final choreography includes a range of gestures from diverse sources – from spiritual to political to military – that have become removed from their original context. 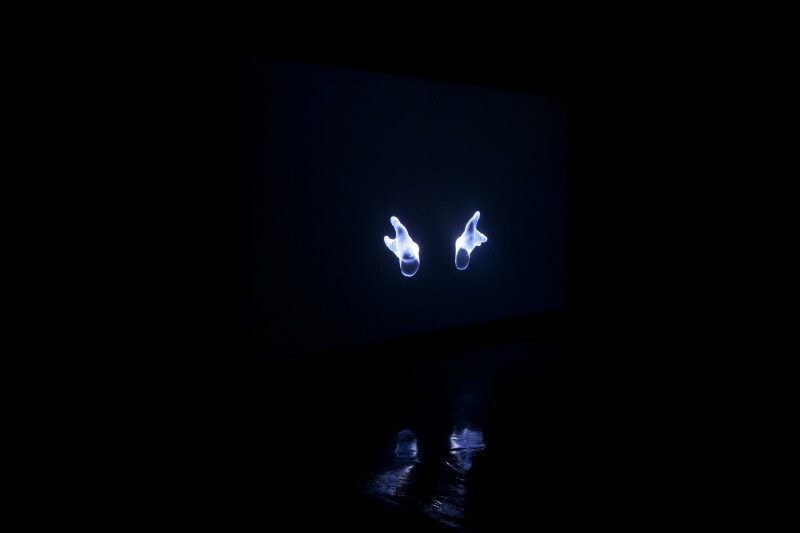 The film consists of a with motion capture produced animation of two virtual transparent hands. 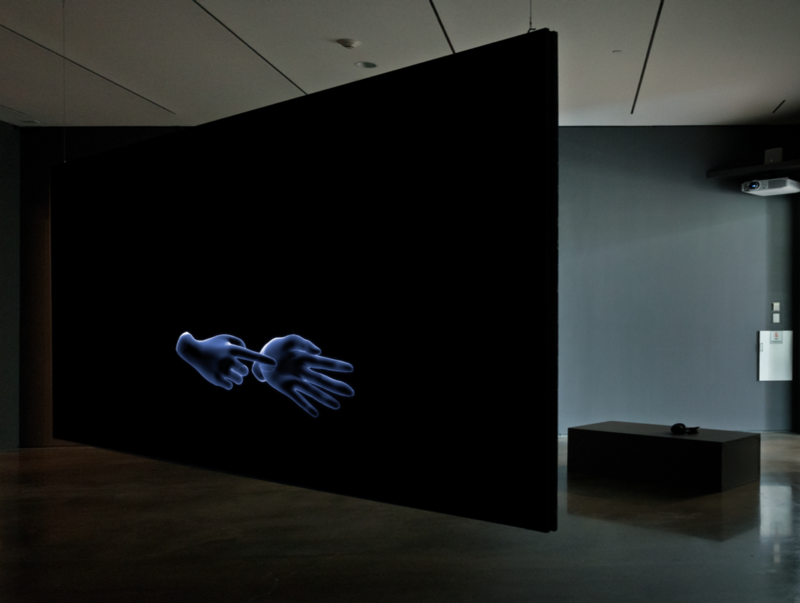 The films is projected on two sides of a free standing screen, from one perspective the hands are directing you as a viewer. At the other side of the screen, chronologically playing, the hands feel more like an extension of the body of the viewer. 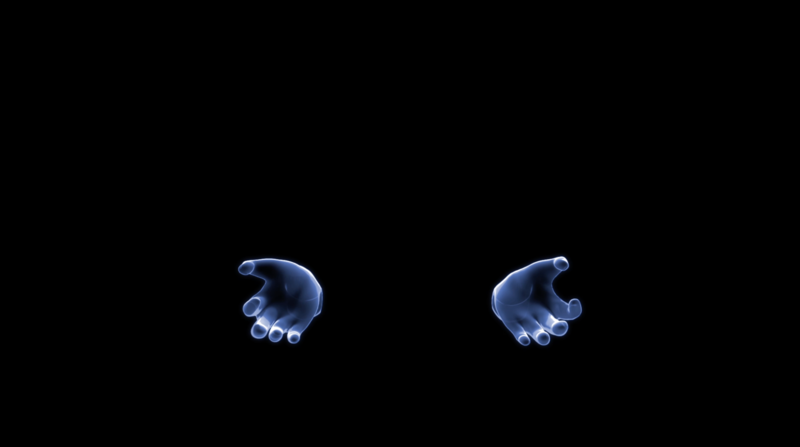 In Our Hands relates to current debates around Artificial Intelligence, it's often anthropomorphic imagination and the concept of singularity with a form of super intelligence that we will or won't keep in control. The accompanying sound piece is a composition made of 18 computer generated binaural tones or brainwaves. Brainwaves are electrical activity patterns caused by the neurons of the brain communicating with each other. Brainwave synchronization, aims to cause brainwave frequencies to fall into step with a periodic stimulus having a frequency corresponding to the intended brain-state. The effect of binaural tones was discovered in 1839 by Heinrich Wilhelm Dove and earned greater public awareness in the late 20th century based on claims coming from the alternative medicine community that binaural beats could help induce relaxation, meditation, creativity and other desirable mental states. Produced in collaboration with Geert Belpaeme (actor/dancer, L'Hommmmm), Jeroen Koffeman (animator), Charlotte Vanden Eynde (dancer/choreographer), Lieven Moors (musician). Duration Sound composition: 17:40 min.